A sum of £9,819 has been awarded to an arthritis charity to promote exercise and project participation. The cash will be used by Community Leicestershire Arthritis Self Help (CLASH 2012) to help fund its online forum A Tablet For Life - a musculoskeletal telehealth exercise project aimed at people with arthritis. 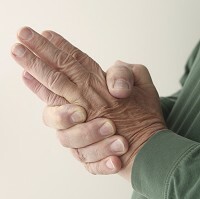 Around 10 million people in the UK suffer from arthritis. The condition causes pain and inflammation in the joints, but that doesn't mean sufferers cannot enjoy the finer things in life like going on an active holiday. Arthritis travel insurance provides the peace of mind needed to make the most of a trip away. Things such as cancellation and curtailment, travel delay, baggage loss, protection for your valuables, cover for the loss or theft of cash and personal liability cover are all included, so you can focus on relaxing and seeing the sights. CLASH 2012 was one of 157 projects in the East Midlands to share £1,308,364 via the Big Lottery Fund's Awards For All programme. Launched eight years ago to help people with arthritis in Leicestershire, Leicester and Rutland, it provides free computer confidence courses for people with a musculoskeletal condition or arthritis as well as information and resources. The money will enable the charity to integrate recent wearable technology devices to promote exercise and project participation. Mini iPads, for example, will offer a degree of control over levels of exercise by using apps to provide feedback information to participants from daily or sessional activity, helping them improve their quality of life. The two most common types of arthritis are osteoarthritis and rheumatoid arthritis. Both are covered by arthritis travel insurance. It's important to see you doctor if you have joint pain, tenderness or stiffness, inflammation in and around the joints, restricted movement of the joints, red skin over the affected joint or muscle weakness.